Freeform announced summer premiere dates for “Pretty Little Liars,” “The Fosters” and new horror anthology “Dead of Summer” at its upfront presentation on Thursday. The network’s biggest hit, “Pretty Little Liars,” will return for Season 7 on Tuesday, June 21 at 8 p.m. A week later on Tuesday June 28, the new series from “Once Upon a Time” duo Adam Horowitz and Edward Kitsis, “Dead of Summer,” will premiere at 9 p.m.
“Guilt,” the network’s other new scripted drama debuting this summer, will premiere on Monday, June 13 at 9 p.m. And new unscripted cheerleading series “Cheer Squad” will debut on Monday, Aug. 22 at 10 p.m., airing nightly as a two-week programming event. Comedies “Baby Daddy” and “Young & Hungry” will both return on Wednesday, June 1, at 8 p.m. and 8:30 p.m., respectively. “The Fosters” will pick up following the last cliffhanger finale on Monday, June 20. “Young & Hungry” – Wednesday, June 1 at 8:00 p.m. ET. “Baby Daddy” – Wednesday, June 1 at 8:30 p.m. ET. “Guilt” – Monday, June 13 at 9:00 p.m. ET. “The Fosters” – Monday, June 20 at 8:00 p.m. ET. 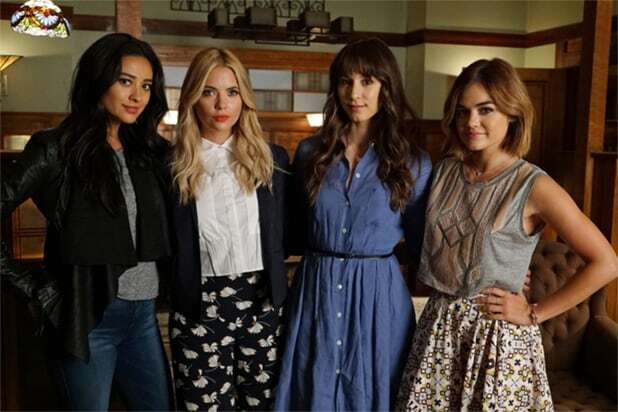 “Pretty Little Liars” – Tuesday, June 21 at 8:00 p.m. ET. “Dead of Summer” – Tuesday, June 28 at 9:00 p.m. ET. “Cheer Squad” – Monday, August 22 at 10:00 p.m. ET.